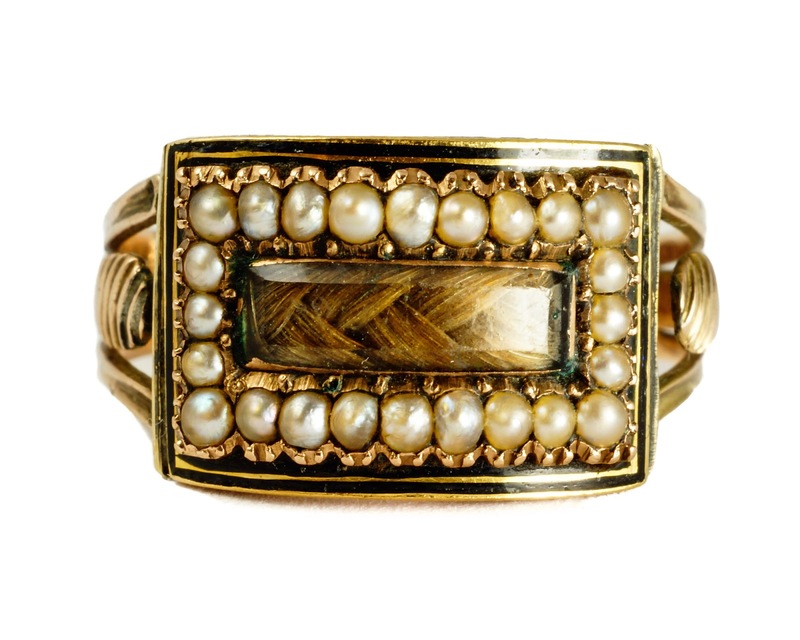 Description: Stunning antique mourning ring, set with a rectangle of seed pearls and a tightly woven lock of hair behind a glass panel. The head is finished with a black enamelled trim. The band is modelled in 15ct rose gold, and shoulders display a "twisted" metal design. There is an inscription to the back of the head: "G. C. L. Wright Bar. Ob. 31st Dec 1809. Aet 40"